I love that it is red, white, and black! Wow, those really are small blocks. This is very eye-catching and will be a great quilt! Progress is progress! 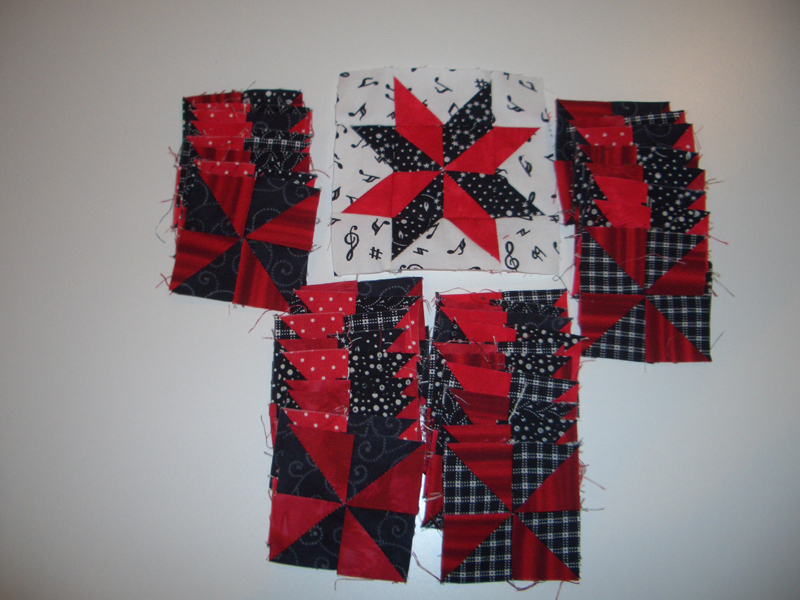 This will be a lively and dynamic quilt.